Imagine getting paid every time someone listens to your song or watches your YouTube video. Or how about getting paid for every youtube video uploaded with your music playing in the background! 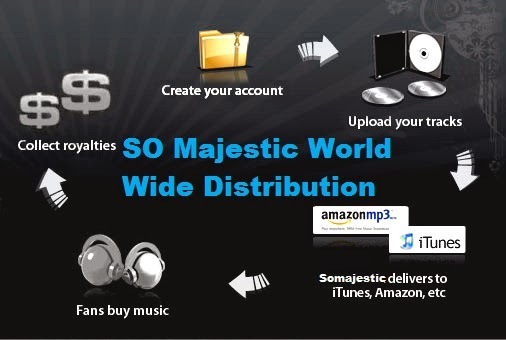 We can help you license your music and get it distributed to all the top retailers by becoming a So Majestic Member. Whats included in becoming a So Majestic Member? Once a member, you will be able to release your album or set a release date for your album to become available. This can be done anytime and there is no limit to how many albums or songs to upload. Got multiple Artists? Create a Label catalog and distribute all your artists at no additional costs. 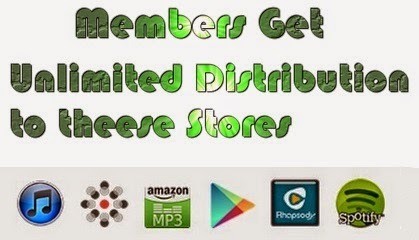 You only pay to join... Distribution is free to all members. Backed by Universal Music our talent scouts have a good chance to get your music in front of the big guys. Their dream is to make you score a record deal and spread your music across the world. If that's your dream too, you've come to the right place. If you're one of the lucky few who gets discovered by our talent scouts, they'll pull every string they have in the media and music industry to help get you on stage and to the centrer of the buzz. Why Put your music out there and not get Paid? ?